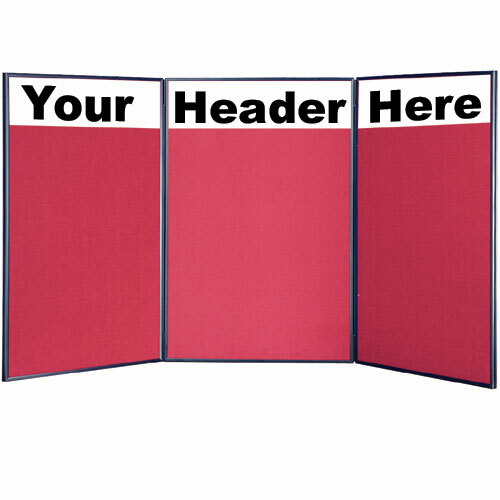 These red custom text hook and loop boards feature a 72" x 36" fabric area for posting text and graphics. 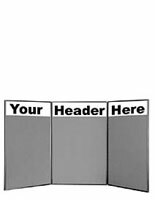 The exhibit displays also come with a 3-part header that can be printed with 1 or 2 colors from a total of 9 to choose from. 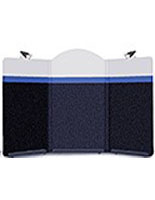 In addition, the custom text hook and loop boards feature a double sided design with a blue back that can also be used to show promotional materials. 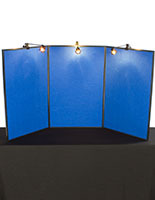 The fixtures with a personalized header make great exhibit displays because of their compact folding design and include carrying bag. 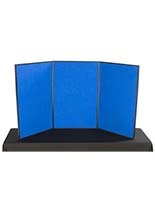 The hook and loop boards with a blue fabric back are vinyl-imprinted for a professional appearance. 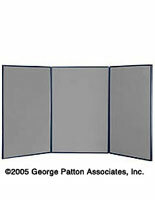 72.0" x 35.4" x 0.75"
23.6" x 35.4" x 2.5"